Please be advised that due to inclement weather, Republic Services has postponed trash pickup until Thursday, February 14, 2019. 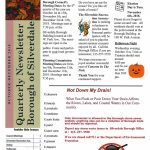 Silverdale Borough’s Fall 2018 Newsletter is ready to view – and available here as a PDF. Click the image to download. Silverdale Borough has declared a snow emergency please remove all vehicles from the roads to allow plows to clear the roadway. Dear residents due to the severe weather trash and recycling for the Borough will be picked up on Saturday, March 24, 2018. Enjoy the snow day and stay safe. PA ONE CALLS; If you are having work done at your residence please be aware that it is your responsibility to both notify PA One Call and to mark the area in question. 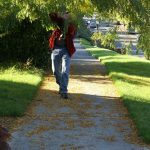 Sewer lines from your home to the curb are owned by the resident.